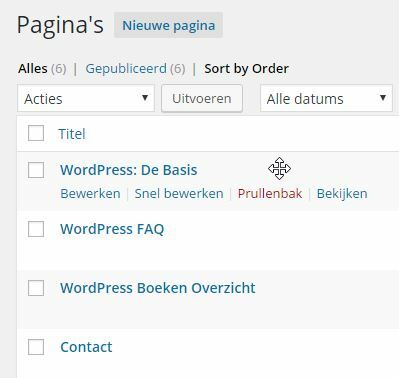 Once you are logged in to your WordPress site you have two big options in your administration dashboard: “Write a new page” and “Write a new post“. As WordPress is heading to a more CMS Like software the Dashboard from 2.7 and up the order has changed. It is simply a matter of knowing what to use for what purpose. Posts are really what makes WordPress so great for Blogging, Post will be presented in a time-line. This means that the latest post will show up first before the rest of the Blog entries. In the archive pages there will be Posts that are labeled to belong to those Category or Tag. You can also have Monthly archives and even Author Archives, but the are always in a Chronological order. Pages are more static and that means you can use them any way you want to structure your WordPress website. Really, you need to focus on pages, as they are the static part of you website! Pages can also be placed as a subpage to a Main page and otther pages, we will go into more details once we get started on how to structure your website.